Basics: 10 Meter AM/SSB Amateur Radio loaded with features. 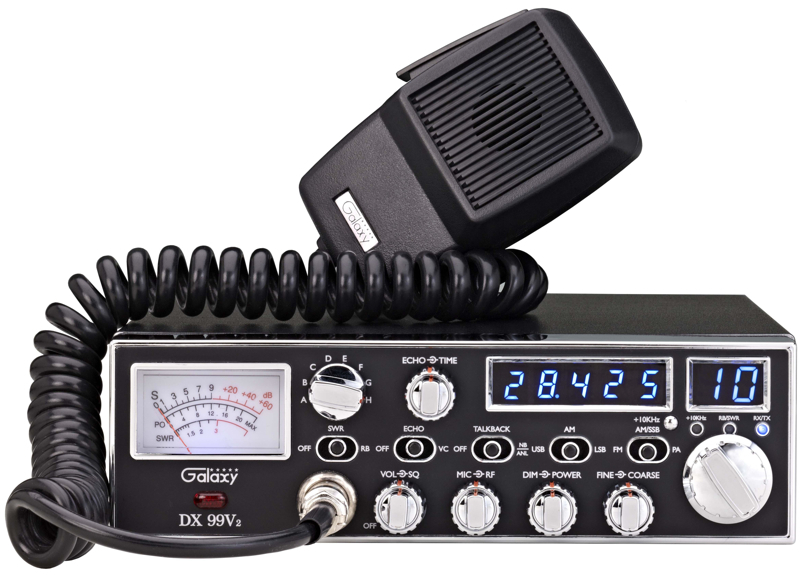 8 bands of operation, 30 watt radio (once tuned) with echo, factory talkback, The coarse clarifier operates on both receive and transmit. The meter measures signal, wattage and SWR. Offers additional features such as modulation indicator, AWI, and auto SWR circuitry. Controls: Volume, squelch, mic gain, RF gain, dimmer, PWR level, echo time and level controls, clarifier-course/fine..
Dimensions: W 8" x D 10.75" x T 2.5 "